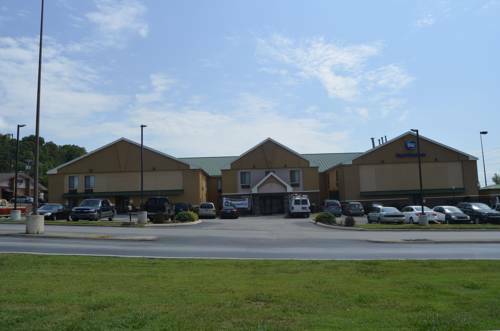 The Comfort Inn hotel in Kimball, TN offers a free deluxe hot breakfast which includes scrambled eggs, sausage, biscuits and gravy, waffles, pastries, cereal, juice, milk, hot chocolate, tea and coffee. All guest rooms at this smoke-free hotel include microwaves, refrigerators and 32-inch LCD televisions. Pet Accommodation: $15.00 USD Per Night and Per Pet. Maximum of 15 pounds and 1 pet per room.